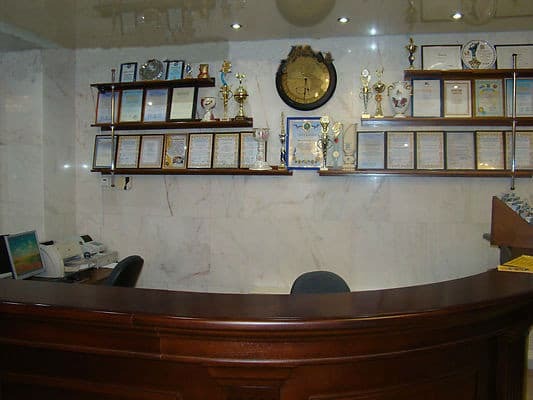 The hotel complex "Alexandria" is a modern hotel offering guests a high level of service, based on the developed infrastructure, excellently organized service technology and professionalism of the staff. 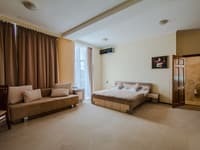 The complex is located in the center of Kiev, on one of the main streets of the city - Victory Avenue and provides rooms of various categories equipped with comfortable furniture and having the necessary level of comfort. 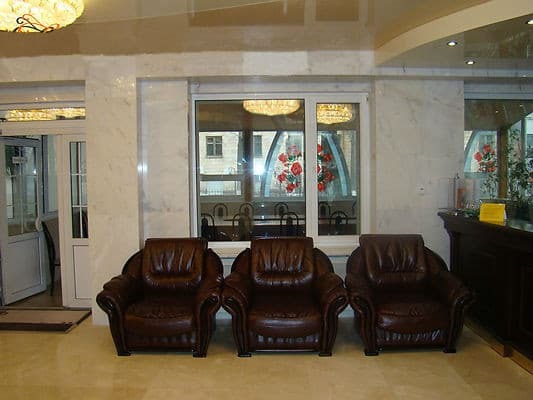 Convenient transport interchange allows you to comfortably and quickly move around Kiev. 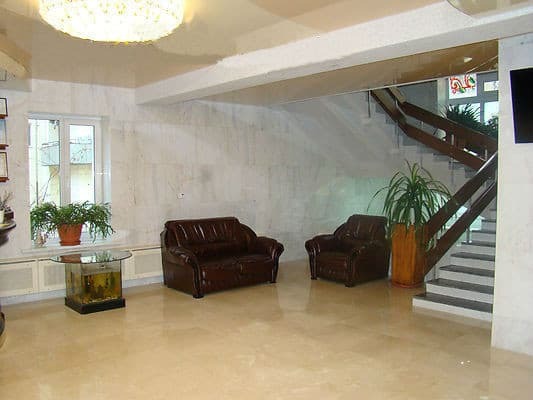 The distance to the railway station is 3.8 km, to the central bus station - 8 km, to the airport "Borispol" - 37 km. 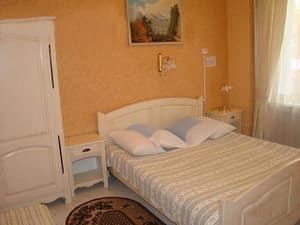 Description of the room: Cozy 1-bed room is equipped with heating system, cable TV, telephone, Wi-Fi. There is also a mini-bar with alcoholic and non-alcoholic drinks. The bathroom has a shower, toilet, hairdryer and toiletries. 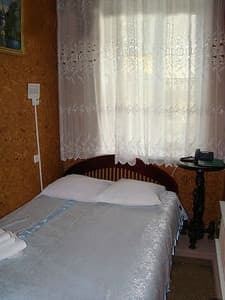 Description of the room: Comfortable 2-room rooms. There is also a mini-bar with alcoholic and non-alcoholic drinks. The bathroom has a shower, some with a jacuzzi, a hairdryer and toiletries. 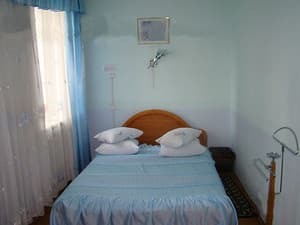 Description of the room: Spacious 3-room apartment, equipped with air conditioning, heating system, cable TV, telephone, Wi-Fi. There is also a mini-bar with alcoholic and non-alcoholic drinks. The bathroom has a shower room, some rooms have a jacuzzi. Breakfast extra charge, prices from 20 to 50 UAH. 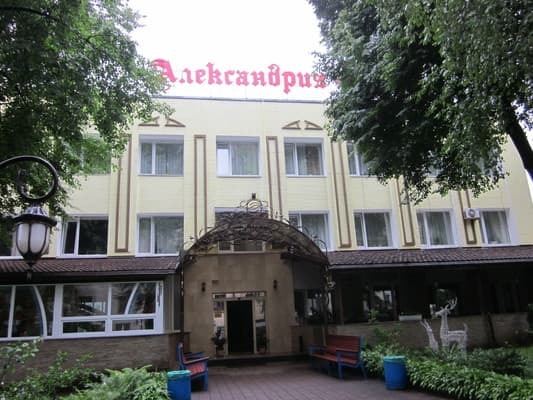 The hotel complex "Alexandria" is located in the center of Kiev on Prospekt Pobedy, 62A (Google-map address pr. 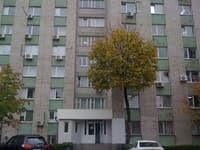 Victory, 66А) in 15 minutes from the city center, in 50 minutes from the international airport "Borispol", in 20 minutes from the railway station. The nearest metro stations are "Shulyavskaya" and "Beresteyskaya". Near the complex there is a supermarket and a shopping center. 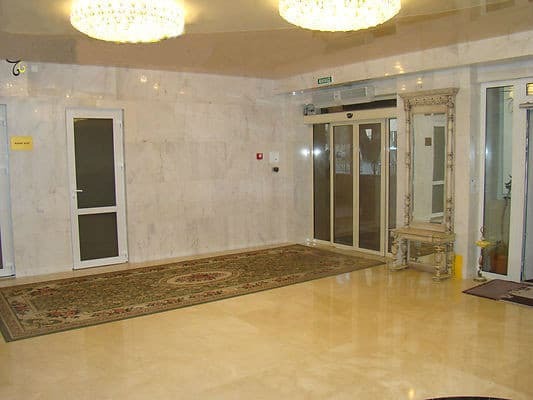 GC "Alexandria" has a convenient location and is located near st m "Shulyavskaya" and "Beresteyskaya". 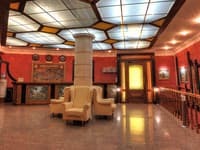 From the railway station you can get METRO from the station "Vokzalnaya" and to the metro station "Shulyavskaya". 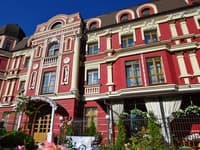 Between the airport "Boryspil" and the city center there is a transport service by shuttle bus "Atass - Polet" from the Central railway station "Yuzhny". And you can also use the services of a taxi.